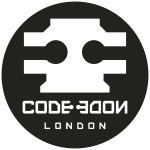 Core, Code, Comedy and Festive Drinks- London Dot Net and FullStack Bytes! Are you ready to kick off the festive season in full CodeNode style? Join this special collaborative meetup with both LDNUG and FullStack Bytes to review this last year in tech! 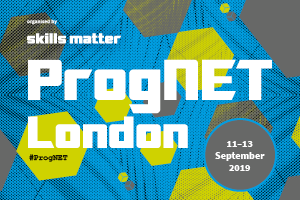 Together with some of the great speakers you've seen this year at Full Stack, London.NET and the Progressive.NET tutorials, we'll look back at what's happened in the developer community in 2016 - and ahead to what's coming up in 2017. 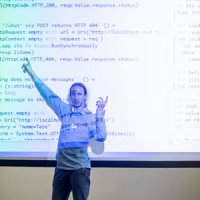 With .NET Core running on Mac and Linux, bash running on Windows, Visual Studio for Mac, JetBrains' new Rider IDE, and a whole host of cross-platform tools and technologies, there's never been a more exciting time to be a software developer - whether you're front end, back end or full stack; web, app or desktop, monoliths or microservices, Windows, Linux or Mac, it's a great time to get together, share our ideas and celebrate being part of a truly world-changing industry. Closing out the evening, we'll have some brand-new geek comedy from the inimitable Mr Mark Rendle, creator of BSLang - "the worst programming language ever created" - and then we'll all be around afterwards for some Christmas drinks, and you're most welcome to join us.